What I know to be true is that the only way to untie and undo the knot is to DO. A few weeks ago, I shared the story of my amazing “homie” who moved into a new place and needed some furniture. The response was beyond overwhelming. Oh, my village, my fierce amazing dependable village! It was complicated to coordinate picking up and delivering things during the holidays and my sweet, amazing homie was going to visit his family. To be honest, I couldn’t figure out how to do this furniture drive. Such a conundrum--how to deliver, how to pick up, and how to organize this furniture swap. My brain was in a knot. I knew that this is a great opportunity, but how do I get from A to Z when there are about a gazillion steps on the way? How do I do this and undo the knot in my head? Well, Nike totally got it right. Someone I knew and now, is a new friend from my beloved congregation had the best ideas, she and kept saying that we should do this and we should do that. Others can always undo the knot better then we can, because it is always so much clearer from a few steps away. How amazing is the sound of “we” when you are used to it just being “me,” but, in order for “we” to happen, you must ask another person to help you!! My new friend, who I can tell is going to be a super, good friend, and her husband rented a U-Haul and an old friend generously lent me her truck. We had 5 stops. At each stop people gave us a little cash so we could hire some young people to help us out. A wonderful colleague from my beloved congregation works at Beit Teshuva. Beit Teshuva is a residential treatment center, congregation and educational institute where life is celebrated and every soul matters. He quickly, without hesitation, and on very short notice helped me find 2 shleppers. Now here is the thing about this congregation of mine, I am never alone. There is always someone there ready, wanting to step up. My congregation does, simply does all the time. Together with them I can always DO, and, my goodness, how we do! We got up early on Sunday morning, picked up a desk, a coffee table, a trash can, a bed, sofa, chairs, a dining room table and more. At each house we were met by smiling faces and huge hugs. There were ideas and suggestions how to do this better, because we still can and will learn. a sweet nosh and water. At each house, there was love, so much love, and gratitude. Oh, how doing good, is simply good! As the van and truck filled up, we all got a little excited. Wishes of good luck, beautiful faces smiling, waving arms, so eager to help my homie who they had never met. This pure simple giving had the capacity to undo my heart that has been very heavy for completely unrelated reasons. 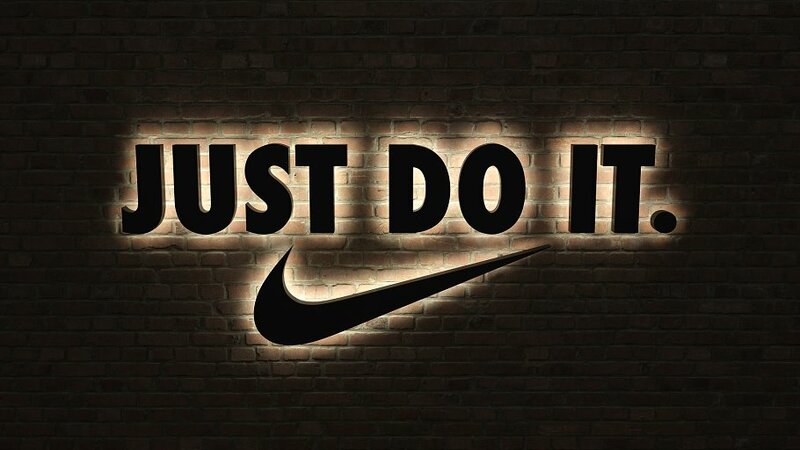 “Just do it!” NIKE says, and I add with and for people. It was a beautiful, sunny Sunday. We filled the house of 2 great guys with furniture, but we filled it with much more than that. We filled it with compassion, hope, and a clear message that we believed in them and respect them and there are endless possibilities out there waiting for them. I hope and pray they feel the dignity sitting in every piece of furniture so carefully put in their house. We stood there ready to leave, and my new friend and I were so happy at how easy and smooth this was. I know more people have furniture to donate. What I learned is that you can only undo things one at a time, and not all at once. Don’t worry, this was the first but not the last time. We took a moment to talk about all this, and how we now want to buy a truck, put things online. You see when you DO, you immediately feel like you can DO so much more. As we stood there, my homie came up to me. He hands me some cash. And then I hug him and we stand. And we all embrace for a moment. I put the cash in my pocket. This was by far one of the best donations The Advot Project has ever received. I didn’t know how to make this happen. I wasn’t sure how to get the furniture from A to B.
I couldn’t figure out the route. It had been a few weeks since I posted the ask on Facebook. But we just did it! You see sometimes to undo, you just need to do. Do me a favor? Just do it! Okay?? ?